With your new baby on the way, you can find yourself inspired by our selection of baby gear essentials for first-time parents. Chosen with the new parent in mind, these baby gear essentials will help you get on your way to give your baby the best possible welcome from the womb, into their new home. Babies sleep a lot, typically up to 16-17 hours per day intermittently, so it’s important that you give your growing baby the best possible place to rest that is both safe and comfortable. A good idea is to purchase a baby cot that adheres to international safety standards, grows with your child and is of a high standard of quality. Buying a baby cot that is easy to convert into a junior bed is essential, as this will make life a lot easier for you as your baby grows into a toddler. We can recommend several cots that grow with baby such as the Sebra Kili Baby Cot & Junior Bed(incl mattress) which extends into a toddler bed, The Leander 5-in-1 Cotbed (incl mattress) converts through 5 stages and also becomes a beautiful cot bed, just as the Flexa Cot does too, the Birdy 3-in-1 cot turns into a single bed and so do most of the other cots we have selected for you. A well-made & comfortable compactum is an essential part of your nursery preparation. You want to look at a changing table that is comfortable to use, offers you storage space and is sturdy in its design. This baby essential will come in handy even after the changing years as extra storage space, so be sure to select one that is of high quality. Some compactums offer additional changing trays which are removable so that you don’t need such a large item of furniture in the room. View our range of compactum & dressers. As your baby grows older, a high chair of good quality and functional design that grows with your baby into the toddler phase is a baby gear essential. As baby grows trays can be removed, seats adjusted and heights changed to turn into posture supporting chairs for children. Look at finding a high chair that is easy to clean whilst providing your baby with comfort and stability. Many trays are removable and dishwasher friendly. Check out the beautiful bentwood Leander Chair, Fexa High Chair for use at your dining table or the Ovo One High Chair. Baby moses baskets have evolved since biblical times. 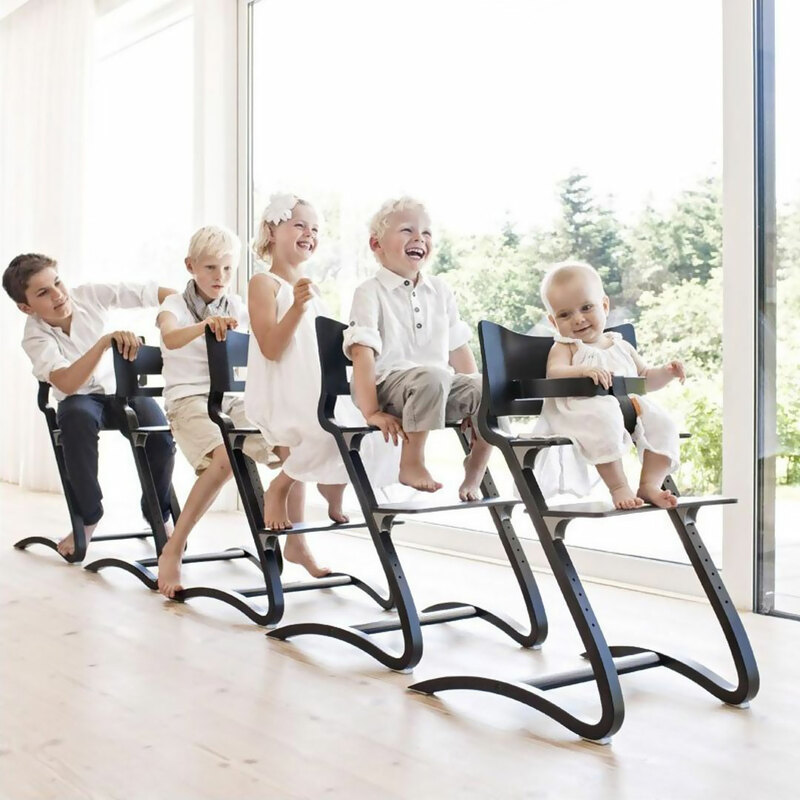 It comes in handy for the busy parent as it is easy to move around whilst doing work around the house. This baby essential will allow you to interact with your baby, while you do what you need to do. Take them to a peaceful corner of the garden, near the fireplace in winter to stay warm or in a corner of your office. Check out the Moba Moses Basket, Mattress, Lining & Stand. For the parent on the go, the right pram is essential. Go for your daily run and take your baby with you or for a stroll around the park to unwind. This baby essential is going to make your life a whole lot easier, especially when you choose one that is compact enough to fit into your boot space and allows you to recline baby with one hand and cover them from the sun. Make sure to get a pram that offers you & your baby comfort and safety. And a little bit of style never hurt anyone. If money is no object then you’ll love the Evo Urban Nomad Edition Pram by Mutsy. Car safety is of the utmost importance, thus this baby gear essential must have no grey areas. When choosing a car seat for your baby, make sure that all the safety standards are in place and that the quality of the product is of a high standard. The Carbon Babyroad Car Seat by Foppapedretti is a seat you can trust. For visits to loved ones, shopping & errand runs or social gatherings – your baby bag will become one of your most loved baby essentials. Nowadays it doesn’t have to be your normal run-of-the-mill baby bag, there are a variety of styles to suit the trendy mom and dad( yes, dads too!). A good tip is to get a baby bag that has numerous compartments and pockets to keep all of your babies necessities well organised. We just adore the stylish Evo Nursery Bag. Every mom needs a rocker chair in her baby nursery. With this baby essential you will spend quality time with your baby, slowly rocking your baby to sleep or gently feeding them. Make sure to get one that is comfortable for you and your baby, because you will be making use of this baby essential often.